Dec 6 (AZINS) One in eight deaths in India last year was attributable to air pollution, which contributes to more disease burden than tobacco use, a study said Thursday while asserting the highest exposure to ultra-fine particulate matter, PM2.5, was in Delhi followed by Uttar Pradesh and Haryana. The study, published in the Lancet Planetary Health journal, asserted that with 18 per cent of the global population, India suffered 26 per cent of premature mortality and health loss attributable to air pollution globally. Over half of the 12.4 lakh deaths in India attributable to air pollution in 2017 were of those aged less than 70, it said and asserted that 77 per cent of India's population is exposed to outdoor air pollution levels above the National Ambient Air Quality Standards (NAAQS) safe limit. The northern Indian states had particularly high outdoor air pollution levels, the study said. The first comprehensive estimates of the impact of air pollution on deaths, health loss and life expectancy reduction in each state of India said there were 6.7 lakh deaths due to particulate matters outdoors and 4.8 lakh deaths due to household air pollution. Experts and scientists from the Indian Council of Medical Research (ICMR), Public Health Foundation of India (PHFI), and Institute for Health Metrics and Evaluation (IHME) along with other Indian collaborators reached the conclusion on the basis of data and evidence available from a large number of studies that estimates the contribution of air pollution to death worldwide. "The average life expectancy in India would have been 1.7 years higher if the air pollution levels were less than the minimal level causing health loss, with the highest increases in the northern states of Rajasthan (2.5 years), Uttar Pradesh (2.2 years), and Haryana (2.1 years)," it said. Last year, 77 per cent population of India was exposed to ambient particulate matter PM2.5 above 40 g/m3, the recommended limit by the NAAQS. The mean ambient particulate matter PM2.5 annual exposure of 90 g/m3 in India in 2017 was "one of the highest in the world", the study said. "The Disability Adjusted Life Year (DALY) rates due to household air pollution varied 145-fold among the states of India in 2017, and it varied six-fold for outdoor particulate matter air pollution. "The DALYs attributable to air pollution in India in 2017 for major non-communicable diseases, which included chronic obstructive lung disease, ischemic heart disease, stroke, diabetes and lung cancer, were at least as high as those attributable to tobacco use," it said. The study pointed out that while the proportion of households using solid fuels has been improving in India, 56 per cent of the population still used solid fuels in 2017. This proportion was higher in the less-developed states with over two-thirds of the population in most Empowered Action Group (EAG) states using solid fuels for cooking, it said. 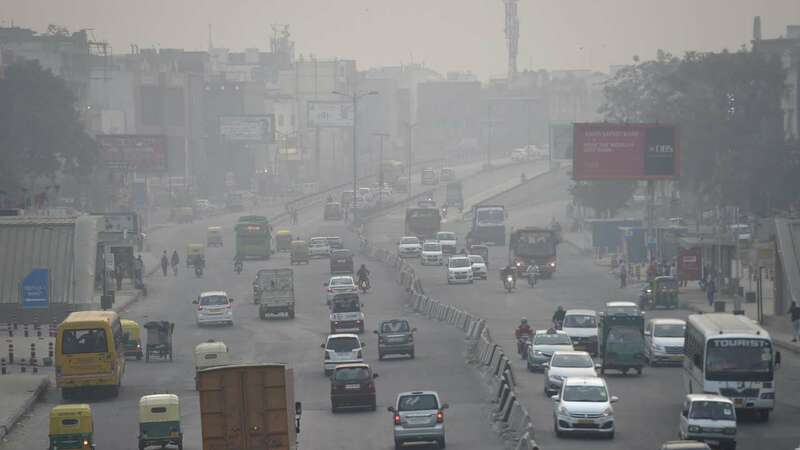 The annual population-weighted mean exposure to ambient particulate matter PM2.5 in India was 89.9 g/m3 in 2017, which was one of the highest in the world with Delhi recording the highest PM 2.5 exposure level followed by the other north Indian states of Uttar Pradesh, Bihar and Haryana and then in Rajasthan, Jharkhand, and West Bengal, the study said. According to it, the major sources of ambient particulate matter pollution in India are coal burning in thermal power plants, industry emissions, construction activity, brick kilns, transport vehicles, road dust, residential and commercial biomass burning, waste burning, agricultural stubble burning, and diesel generators. The first author of the study, Prof Kalpana Balakrishnan, Director, Department of Environmental Health Engineering, Sri Ramachandra Institute of Higher Education and Research, said there is increasing evidence globally and from India about the association of air pollution with premature death and disease burden. "The findings in this paper are based on all available data on air pollution that were analysed using the standardised methods of the Global Burden of Disease Study. "Leading air pollution scientists from India contributed to this research. This comprehensive effort over several years has for the first time produced what we believe are robust estimates of the health impact of outdoor and household air pollution in every state of India," Balakrishnan said. The DALY rate attributable to air pollution in India in 2017 was much higher for lower respiratory infections than the rate attributable to tobacco use. On the release of these findings, Professor Balram Bhargava, Director General of ICMR, said it systematically documents the variations among states, which would serve as a useful guide for making further progress in reducing the adverse impact of air pollution in the country.